By in Uncategorised on 27th March 2017 . In 2016, BIT Development was tasked with learning and implementing lean methodologies. So, what is “lean”? Simply put, it is the pursuit of continuous improvement for any process to maximize value and minimize waste. The result improves the quality of products and services, which benefits the customer (agency). 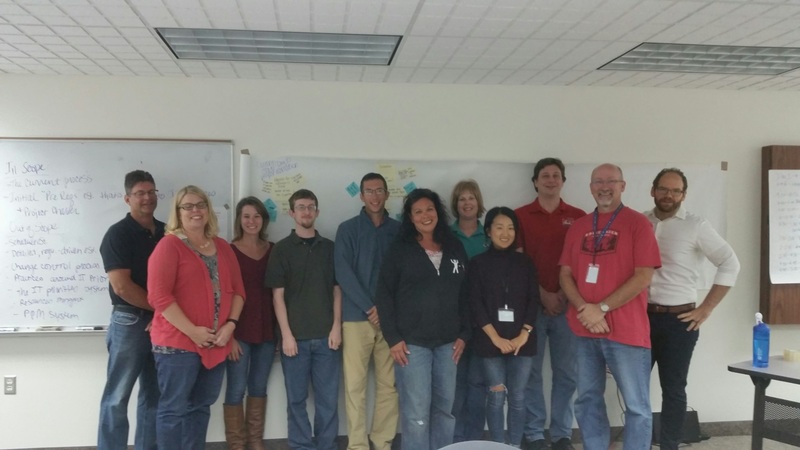 A few months ago, BIT Development was involved in their first LEAN process improvement event. The process that was picked was the Initial Estimate phase for Development’s Software Development Life Cycle (SDLC) . Not only were teams from BIT Development involved, the Department of Revenue was asked to participate so the group could get the “agency perspective” on initial estimates for IT Development work requests. While process improvement may seem like an easy thing to do, it involves a lot of pre- and post- work along with the intense work that happens during the event. making sure all the necessary supplies have been gathered. The contributors gathered input from other members of their perspective teams on the Initial Estimate process. What was discovered during that first day of work was that everyone does it differently – even within teams. The work for the event was an intense three-day “stuck-in-a-room-and-can’t-leave” hashing out of what goes on in everyone’s Initial Estimate process. Ally Shepardson, a collaborator from Daktronics, was the event facilitator. Naturally, not all participants were looking forward to spending three days in a room. The event is designed to finish as many deliverables as possible in the space of three days, but the work didn’t stop after the event was over. 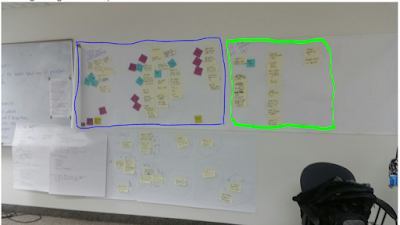 Everyone had tasks to accomplish: creating a new diagram for the Initial Estimate process, creating a template for the division to use when they meet with the agency, getting a new list of requirements that were needed for IT Priorities and the work order tracking system (WoTS) so that metrics could be tracked and finally creating the training for the Initial Estimate process. Working intensely on improving the Initial Estimate provided other benefits beyond improving a process. 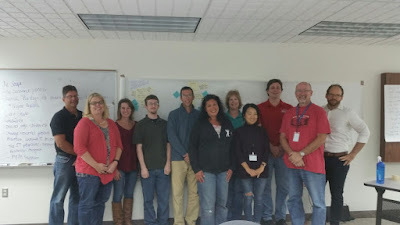 Team members had the opportunity to get to know each other better and now they feel more comfortable reaching out to people outside their own teams.